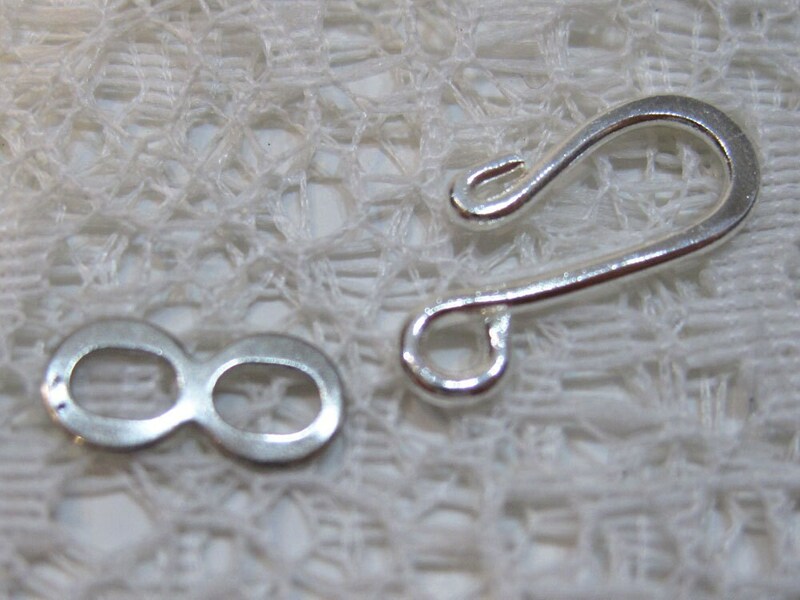 Silver plated brass hook and eye or S-hook clasp. Lead and nickel free. Made in the USA. You will receive 12 complete clasp sets. This shop has everything I need. Will shop again! Nice, unobtrusive clasp - perfect! I liked the size and quality - thanks! Smaller than I expected, but fine!